Every first Monday of the month we post an interview with a TopFem member or TopFem alumna. This month's I Am Topfem is with Fien van Rossum. 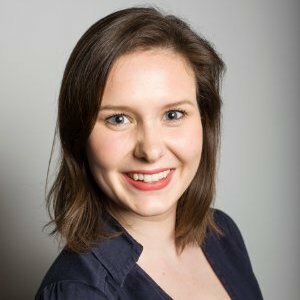 Fien is Chairwoman of the 2016-2017 Board and works as a policy officer at the Dutch Ministery of Foreign Affairs. Hi! I am Fien, an determined, ‘people person’ who loves to eat, travel and dance. I am 26 years old and the chairwoman of TopFem’s board 2016-2017. Currently I work as a policy advisor for the Dutch Ministry of Foreign Affairs (BZ). Which study have you followed/completed? I began my education in Zwolle, where I grew up. After obtaining my bilingual high school degree I started my Bachelor at Leiden University College (LUC), The Hague. I was part of the first batch of students, or guinea pigs as you might call it, which has led to truly unique challenges and opportunities. During my bachelor I enjoyed taking part in many committees, started rowing and studied abroad in the United States at Chapman University. The courses there introduced me to mediation, a subject that has become a passion that fits me and my talents perfectly. In 2013 I started a master’s degree in Public International Law at Leiden Law School, during which I also co-founded the alumni foundation for LUC and developed my leadership skills through the Leiden Leadership Programme. During my master I got the opportunity to do an internship at BZ at the Directorate-General for Foreign Economic Relations and I have worked there ever since. I ended up starting and finishing a different master during my work at the Ministry, an MSc Conflict Resolution & Governance at the UvA. This master has enabled me to further develop and research my passion for conflict resolution and mediation. The internship allowed for a fluent transition from my student to working life. It offered me the opportunity to discover what working for the government is like and showed the differences between theory and practice. First in my internship and later in my job, I was able to take on many different projects which allowed me to quickly develop new skills and improve on teamwork and project management. The various work activities, from creating a model that visualizes data on economic diplomacy to organizing trade missions and royal state visits, created an opportunity to work together with many people and grow my network. This network, the diverse opportunities and mission of the organization is what excites me in my job and in TopFem as well. I discovered TopFem through Emma Schutte, who I knew from the Leiden Leadership Programme. She was part of the TopFem New York chapter at the time and every time I saw an event on Facebook that she was organizing, I would think to myself: ‘I wish which there was a similar network in the Netherlands’!’ Shortly afterwards I joined the chapter in Amsterdam and enrolled in the Mentor&Network programme. The importance of a mentor was becoming more and more clear as I started my job at BZ. I was looking for guidance with practical tips during my first job, but also strategic and tactical career issues that I wanted to discuss with an experienced mentor. These expectations were met and have given me more than I could have imagined. My mentor has offered me advice that I was able to implement directly and reap the benefits of in my current job. Advice that offers reflection, has continuously enabled personal development and the confidence to go after my ambitions. This experience is something that I believe every ambitious women should have; to make the most of her passions and allow herself to be inspired by a mentor who has ‘walked the walk’. For me TopFem is a group of young women who are serious about their career and have ambition. They are not afraid to share that ambition or their network to help and encourage others to achieve their goals. Every event, and by talking to the members attending them, leaves me with excitement and inspiration about the many opportunities and possibilities that lie ahead. Millennials are the leaders of the future and TopFem offers its members practical tools, connections and amplifies female leaders to enable a more diverse leadership in the future. Although TopFem is an organization with serious ambition I also experience this group of women as very informal, fun and great to talk with. I have many female (and male) role models who inspire me in different aspects. Those that demonstrate resilience in achieving their goals, those that give back to the community, those who are engaging public speakers, and those who have great (personal) leadership skills, who inspire and lift others. Due to TopFem and the Mentor&Network Programme I no longer hesitate to reach out to these role models who I look up to or would like to learn or receive advice from. Perseverance. In general I believe that every leader, male and female, should be a good listener, empowers others, and have empathy, charisma and authenticity. Any advice to other young female students and professionals? Be proactive, reach out and use your network. The sky's is the limit! There are endless possibilities, but they won’t just fall into your lap. Don’t be afraid to learn through trial and error, be confident in your abilities, your added value and think big! People during my studies abroad in the States would tell me “if your dreams don’t scare you, there not big enough”. This might sound exaggerated, but its true: you are capable of much more than you think, so aim high!